Are you a manufacturer or distributor of flexible packaging? Do you need to better manage quotations and costs? It's all in the bag with TRAVERSE Flex-Pack integrated accounting, distribution and manufacturing software, designed for the flexible packaging industry. Specialized quoting functionality for volume pricing, calculated on margin or mark-up using all standard units of measure. Integrated processes such as converting, printing, mounting, extrusion, slitting, and laminating. Custom product “built” by defining length, width, gusset, and more. Set resin and additive formulations for single and co-extrusion processes. Work order integrated with shop floor using Touch Screen Technology with back flushing. Complete traceability by barcoding, from extrusion through converting and from receipt of raw materials to shipment of finished goods. Multiple units of measure for inventories of raw materials, finished goods, and works-in-progress. Automated shipping by roll, box, or skid using the full bar-coding features of the system. 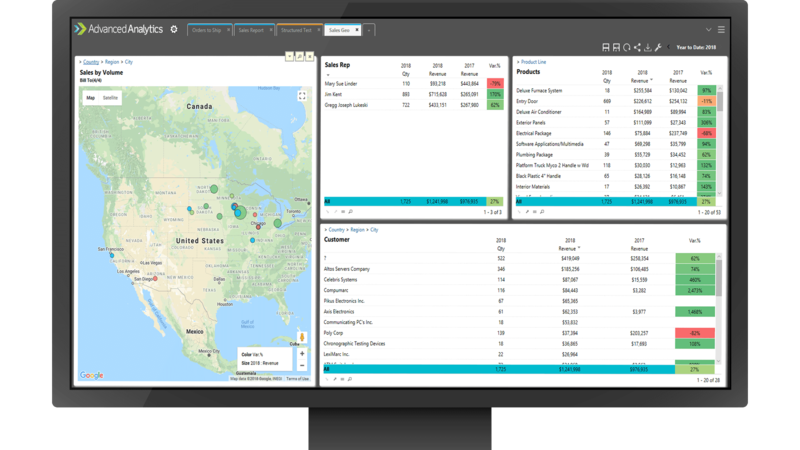 Featuring a robust data reporting warehouse, Advanced Analytics for Flex-Pack enables interactive visualization, reporting, and analysis of your data from any device (mobile or PC) anywhere in your business. 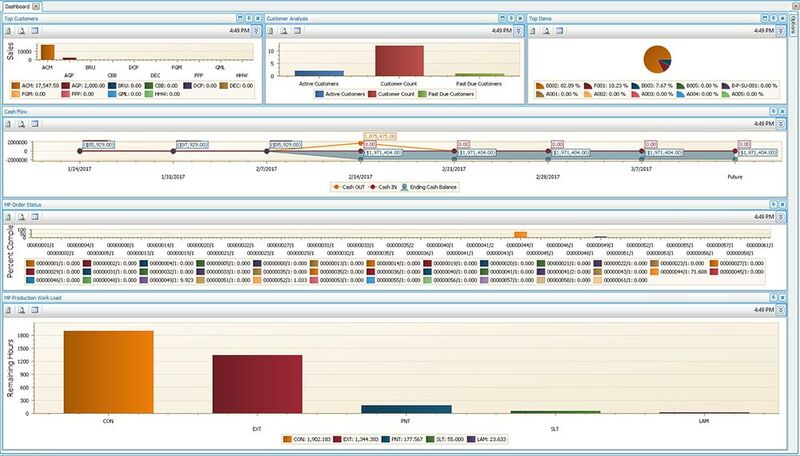 Graphing, sorting, and drilling into your critical business information in any way, combined with robust pre-built reports, metrics, and KPIs provides an essential tool for analyzing your flexible packaging business. What can Flexible Packaging Software do for you? 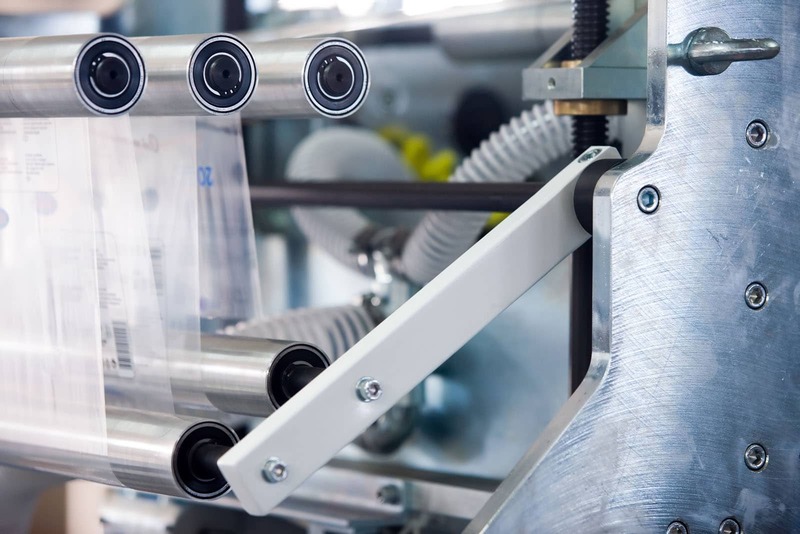 Completely integrated ERP Solution with advanced features to help Packaging Manufacturers automate workflow and gain total visibility and control of their Flexible Packaging. With Make to Order products are manufactured based on customer orders and work orders are created directly from the customer. Flexible production order processing and prioritization is a must for the Flexible Packaging Industry. In many cases, components are purchased specifically to produce products for customers. With Make to Stock for Flex-Pack, you have the capability to have the product manufactured to completion before the receipt of a customer order. Items and quantities are typically based on a forecast of demand. Make to Stock gives you the advantage of short lead times for shipping product and very well defined production methods and times. In a job shop production environment, your company might need to perform a service for customers such as packaging printing services and/or producing a folding carton, blow molding, or any other product. There is typically a short turnaround time for customer orders, with a high emphasis placed in job status reporting and accurate labor and materials costing to the job. With Job Shop you assure tight inventory control and ability to buy parts and materials for your Flexible Packaging Manufacturing Business. With Custom Manufacturing, your company can maintain tight inventory control and the ability to buy just-in-time materials for the job. This environment typically has the longest lead time. Bring your Flexible Packaging company or Plastic Manufacturing business up to speed with present day technology such as touch screens. 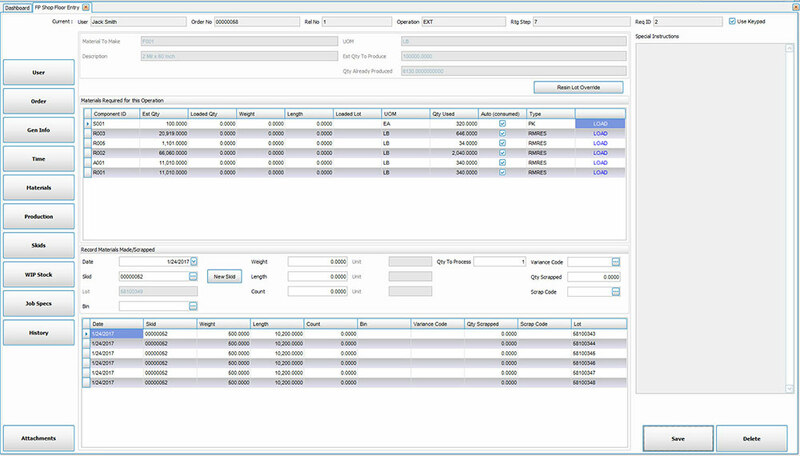 With Shop Floor for Flex-Pack your business will be able to enter data in real time, straight from the shop floor. Track production, labor, set-up and downtimes. Manage WIP and finished goods inventory as well as scrap and back finishing. 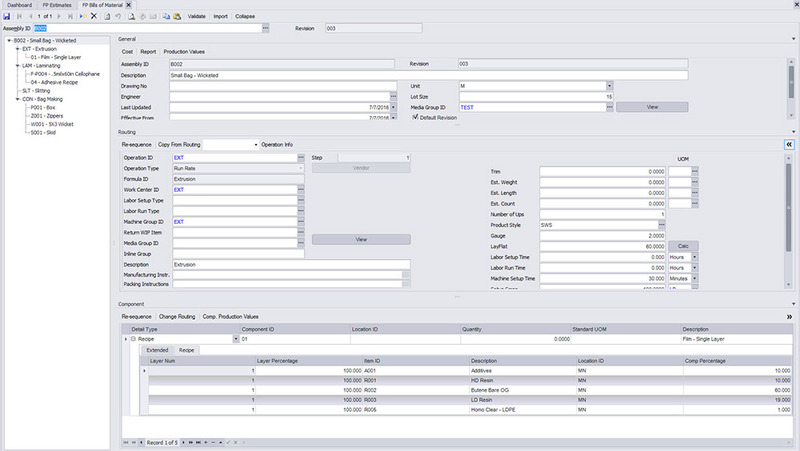 Shop Floor is completely integrated with the Manufacturing Production and Inventory modules. Flexible in name, flexible in nature.